John Langan is well on his way to becoming a contemporary horror legend. Not only are his ideas brilliant, but the style and authority with which he crafts his fiction makes his work required reading for anyone even remotely interested in the genre. His stories have frequently appeared in best-of-the-year anthologies as well as several of the themed anthologies edited by John Joseph Adams and can be found in his two collections, Mr. Gaunt and Other Uneasy Encounters (2008) and The Wide, Carnivorous Sky and Other Monstrous Geographies (2013). Whether you’re a fan of monsters, literary analysis, or the weird, you’ll find something to love between the covers of either collection. Langan’s novel House of Windows (2009) is likewise recommended. Co-founder of the Shirley Jackson Awards and an instructor at SUNY New Paltz, Langan is also an accomplished academic. I recently had an opportunity to speak with the man himself about monsters, family, writing advice, and his host of new projects on the horizon. ZCP: Your work tends cover a wide range in terms of literary and genre horror. In one story you’ve placed readers in a classroom for a lecture about Poe while in the next you’re speaking with authority about space vampires. What’s it like to call so many corners of the genre home? Do you find your process changes from one story to the next? JL: My process remains pretty much the same from story to story, which is to say, I try to write about a page a day, sometimes more, sometimes less, until the story’s done. What changes from piece to piece is the narrative voice, which adapts to and shapes the material of the story. Once I can hear the voice of a particular story, usually in an opening line, I’m off and running. If my work covers a lot of ground, then that’s because I see the horror field as a rather large and baggy tent. No doubt, it’s a consequence of growing up during the horror boom of the seventies and eighties, when so many writers were doing so much work that was widely-available, and all manner of reprint and year’s best anthologies were available, too. A book like Stephen King’s Danse Macabre, with its very catholic view of what might be considered a horror narrative, exerted a tremendous influence on my own thoughts on the matter. I see that variety as a fundamental strength of the horror field, a tremendous asset for those of us working in it. ZCP: What draws you to write about monsters and madness? Did you have any childhood interests that steered you toward the horror genre? JL: I write what I do because I love it, because it speaks to me and energizes me in a way that cuts right to the heart of who I am. I’ve always loved monsters: initially, the big ones, Godzilla, especially, and Gamera and Gorgo (who should have starred in a series of films of her own–what a missed opportunity! ), and then the human-sized ones, the vampires and the werewolves, the gill-men and the zombies. I love their gaudiness; I love the way they embody what I see as one of the horror narrative’s central concerns, the irruption of the irrational into our daily experience. I expect my affection for them grows out of a number of different childhood passions: for dinosaurs, for comic books, for the mythology of the Greeks and the Vikings. As for madness, I suppose it’s the complement to the monsters. If they represent that incursion of the irrational as an external force, then madness figures it as internal, a rupturing of the self by the self. I imagine my interest in it grows out of early exposure to the works of Poe, as well as to the history of Jack the Ripper and what was during my childhood the contemporary figure of the Yorkshire Ripper, whose crimes and taunts of the police terrified me, an ocean away. I would guess, too, that as someone who was a literature major in college and graduate school, I’m informed by the interest in madness that permeates so much of the literature of the last few hundred years, from the work of the British and American Romantics to a figure such as Rimbaud, and up through the Moderns and Postmoderns. ZCP: In past interviews you’ve mentioned working on a second novel with a working title of The Fisherman. How is that progressing? JL: I’m pleased to say that I finished work on The Fisherman at the end of 2013, and currently, my agent is shopping the book around. It’s the story of a pair of fishing buddies who venture to a haunted stream, wrapped around an account of the secret and terrible history of the construction of the Ashokan Reservoir in upstate New York. Fingers, obviously, crossed. ZCP: You also have a third short story collection in the works, correct? You’ve said you view The Wide, Carnivorous Sky and Other Monstrous Geographies as a continuation of your first collection, Mr. Gaunt and Other Uneasy Encounters. Will the new collection share traits with the first two? JL: Absolutely: there will be the same mix of monsters and narrative approaches, anchored by an original, lengthy novella. If there is a difference, it’s that the stories in this book all cohere around the idea of betrayal. This wasn’t a conscious decision on my part; it was more a matter of, when I was looking at the stories that would go into the third collection, I realized that every last one of them revolved around some notion of betrayal. This, in turn, affected my decision about the new piece I wanted to include. I haven’t started showing this book to publishers, yet; I’d like to have the novel settled, first. But I would imagine it will appear in either 2015 or 2016, with a fourth collection appearing two to three years after that, and a fifth another couple of years on from that, the Good Lord willin’ and the creek don’t rise. ZCP: In 2011 Prime Books released Creatures: Thirty Years of Monsters, which you co-edited with Paul Tremblay. Do you two have any other shared projects on the horizon? JL: Paul and I have a few paragraphs of a story we’ve been planning to co-write for something like five or six years, now. Eventually, we’ll get to it. Paul’s an outstanding writer; his 2010 collection, In the Mean Time, is essential reading. Our other ongoing project is the Shirley Jackson Awards, of which we’re founding members. With JoAnn Cox, Paul is responsible for the smooth running of the whole shebang; I show up for the awards and look thoughtful. ZCP: The Year’s Best Weird Fiction, Volume One, which is being edited by Laird Barron and Michael Kelly, is slated for release in August and contains your story “Bor Urus.” You’ve been a supporter of weird fiction for a long time. What’s it like to be included in the first wave of this new anthology? 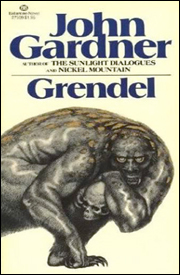 Do you think weird fiction may get more of the attention it deserves? 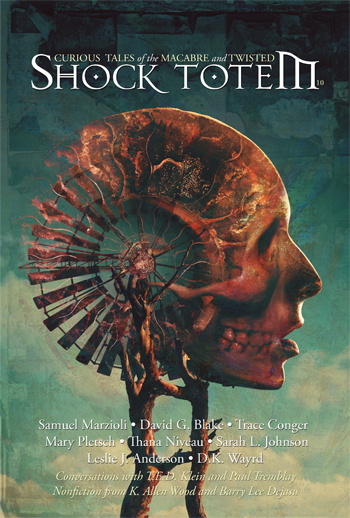 JL: I’m delighted that my story is appearing in the anthology, tucked in amidst truly stellar company. Of course, it’s always nice to have your work recognized, and for it to be in such a high-profile venue as this is the proverbial icing on the cake. Between the VanderMeers’ recent anthology, The Weird, and now this, it does seem as if the weird is on the cultural radar. Certainly, it would be nice for a writer such as Michael Cisco, who for a decade and a half has been writing brilliant fiction that exemplifies much of what I understand the weird to be about, to receive the recognition he so richly deserves. ZCP: You’ve had a close friendship with Laird Barron for some time now. Any chance we’ll see you two team up as a dynamic duo to frighten readers? JL: Laird is one of my favorite people, and one of the contemporary writers who most makes me throw up my hands and shout, “How did he do that?” We’ve been kicking around ideas for years, now; I think the first one centered on Godzilla vs. Cthulhu. (I actually wrote a couple of hundred words on it.) It’s something we still plan to do, once our plates become a little less full. Our latest plot involves a global pursuit and at least one monster. ZCP: Earlier this year you set up a new blog. You’ve already put up a list of works and interviews as well as some advice on writing. Any plans for the blog’s future? How would you say your overall use of social media has changed since your career took off? JL: To put the matter kindly, I’ve tended to under-use the various social media platforms, from Livejournal, to Facebook, to Twitter, to whatever’s looming on the electronic horizon. In part, this has been a result of trying to balance those platforms with a marriage, a family, a day job teaching, and a night job writing. I’ve preferred to devote the majority of my writing time to working on my fiction. And, to be honest, I’m not particularly good at the kind of rapid-fire discourse that flourishes online. Probably as a result of my academic training, I prefer to take a longer time working through whatever subject or issue is in front of me, by the end of which, the online community will have moved on to the next thing. I used to feel worse about this, especially when I considered those writers who were all over the place on the web. More recently, I’ve noticed a) how many of those same writers haven’t written much except for their online commentary and b) how many of them will declare their need to go offline in order to complete their next work. This said, I have established a new blog. I wanted a single place where I could link to what I’ve published online, which turned out to be more than I’d realized. I imagine I’ll continue to use it to that end, and also try to employ it to somewhat the same end as my Facebook account, which is to say, as a place to bring together things I think are interesting and cool. ZCP: What is one piece of bad writing advice you think gets passed around too often? What good piece of advice doesn’t get passed around enough? JL: As a fan of the adverb, I’m annoyed at their continuing denigration. I understand the purpose of telling beginning writers to do without them, as I understand the reason why the whole “slaughter your darlings” adage is passed on to them. Both strike me as reductive and constrictive. My feeling is, if a piece of writing advice helps you to write more, then take it to heart. If it stops you from writing, then ditch it. As for good advice: read. And do what you love. If you don’t love what you’re doing, then why do it? ZCP: You currently teach as an adjunct instructor at SUNY New Paltz. Would you ever consider teaching in an MFA program? JL: Depending on the program, sure. The biggest challenge to me doing so is location and duration. My family and I are pretty settled where we are, now–my wife has tenure; my younger son’s in middle school–which means I would need to teach either someplace locally, or someplace with a low-residency program. Of course, given that the low-res programs tend to be more genre-friendly, that might not be such a stretch. ZCP: You’ve mentioned your family a few times now. How does being a husband and father inform your writing? Do you find bits of that portion of your life slipping into your work, or do the two remain relatively separate? JL: I wouldn’t be the writer I am today without my wife and sons. When my wife, Fiona, and I first started seeing one another, she was completing her dissertation on the fiction of Jack Kerouac (not so much On the Road as Dr. Sax and Visions of Cody). We talked about her work on Kerouac a lot, especially his use of popular culture. Through those conversations, Fiona helped me to realize that popular cultural forms such as horror fiction were as capable of serious literary expression as anything, which had been something of an anxiety of mine during my twenties. Then, when we first started living together, Fiona and I watched reruns of Buffy the Vampire Slayer, after which, we would discuss the episodes. I don’t think I’ve ever known anyone who understands narrative in so fundamental a way as my wife; discussing Buffy (and later Angel) with her was like a master class in the dynamics of narrative. Once I returned to writing horror, and before our son was born, I would read whatever story I was working on to her and she would critique it–continuing, I suppose, my education. More generally speaking, being a father to both my sons has made my life richer than I would have dreamed possible. With my sons in my life, even the bad times are better than they would have been, otherwise. There’s definitely been a bleed-over from my life to my fiction, from my older son asking me to write stories about certain monsters, to my wife and younger son appearing in not-too-subtle disguise in a couple of stories and my first novel. ZCP: In the past you’ve given shout outs to writers. Is there anyone out there readers should keep an eye on who maybe doesn’t have the readership they should? JL: There is no shortage of writers doing great work, right now. I mentioned Michael Cisco above as someone who’s been on the cutting edge for years and has yet to receive what I consider his due. I’m sure your readers are aware of Laird Barron and Sarah Langan (who is, incidentally, no relation); if they’re not, however, then I would heartily recommend all of Laird and Sarah’s fiction, starting with The Imago Sequence and Other Stories and The Keeper, respectively. The last few years have seen a number of very strong debut collections; I’d call attention to Livia Llewellyn’s Engines of Desire and Nathan Ballingrud’s North American Lake Monsters as well worth your readers’ time and attention. Recently, I’ve had the pleasure of reading new collections from Scott Nicolay and Damien Angelica Walters. Scott’s Ana Kai Tangata is out, now; I believe Damien’s Sing Me Your Scars and Other Stories will be released in the fall. As they say, run, don’t walk, to get them. ZCP: Thanks so much for taking the time. Is there anything you’d like to say in closing? You have the floor. JL: Thank you for inviting me to speak with you, and for asking such interesting questions. The only thing I’d like to add is a thank you to the people who have read and who continue to read my fiction. What success I’ve had, I owe to my readers, and I’m grateful for them. The original Resident Evil, or Biohazard as it is know outside of the US, sunk its teeth in me at a fairly young age. Countless hours were spent roaming the halls of the mansion, my ears perked for the slightest sign of the undead. I’ve been a gamer since I can remember, and there are plenty of games I enjoy, but those early Resident Evil titles had something that has become increasingly rare throughout gaming as a whole. They were challenging. That’s not to say they were overly difficult, but rather that they asked more from gamers than the usual fare. Ammo was scarce. Rooms required thorough searches as their contents largely determined life or death. Health did not regenerate. My knife was pathetically weak, only usable as a last resort. I was forced to seek out gasoline in order to burn the dead lest they rise again and devour my foolish adolescent self. Every window brought the threat of zombified dogs so intent on devouring me that they would leap through the glass in pursuit. Even the number of times I could save was limited to the number of ink ribbons I managed to find. And it was for all of these things that I fell hopelessly in love with the game. Other games like Dino Crisis, Fatal Frame, and the spectacular Silent Hill were soon to follow, leaving a host of sequels in their wake. Resident Evil 2 and 3 served up more of the nail-biting suspense delivered so perfectly in the first game, and gamers ate it up. Survival horror was going strong, terrifying gamers late into the night, challenging them to persevere in hopeless situations. Fast forward a few years to the release of Resident Evil 4. As anyone will tell you, RE4 is a spectacular game. However, it isn’t a survival horror game. Instead of combing through dimly lit corridors in search of keys and ammunition, RE4 focused on putting the player into a Hollywood blockbuster, giving them ammo hand over fist and setting up the next set of targets as soon as the current group had been obliterated. The franchise had shifted into the landscape of action games. Although the horror aesthetic remained, the tension was largely absent. Out of ammo? Switch to a different gun. Better yet, just buy more. 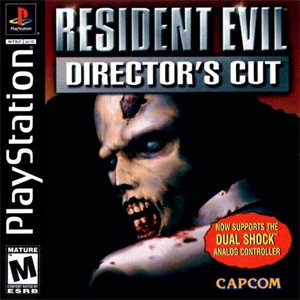 The game was remarkably popular, and its near-perfect scores from all the major gaming magazines cemented it at the forefront of a trend that would alter the course of survival horror games, essentially diverting their lifeblood into the effort to create games for the action crowd. For a time, action horror took the center stage with franchises like Dead Space, Left 4 Dead, and the now mutated Resident Evil. As far as big developers were concerned, survival horror had taken a backseat. The rebirth of survival horror first started in 2007 when indie developer Frictional Games released a terrifying little game called Penumbra. Unlike most main stream horror games, Penumbra didn’t drop boxes of ammo at the player’s feet. In fact, Penumbra didn’t even bother to give players a gun. Armed with nothing more than a flashlight, glow stick, and eventually a hammer and ice pick, the game left players remarkably vulnerable, conveying a sense of helplessness not seen in gaming for some time. Players took on the role of a man who travels to Greenland to unravel the mystery surrounding the contents of a safety deposit box left behind by his late father. It doesn’t take long for the player to become cut off from the rest of the world, falling down a mine shaft into what appears to be a military installation left over from the Second World War. Technically, the game was nothing groundbreaking, but the feeling the experience evoked in players was impressive. When describing the game to a friend, I said it was the closest I’d ever come to experiencing John Carpenter’s The Thing first hand, a statement which still holds true. Penumbra worked to create fear in meaningful ways. Hiding was vital to survival, and yet the mere sight of certain enemies could cause the protagonist to panic and reveal his position. This left players crouched behind stacks of crates as they listened to something that sounded like the equivalent of a lion pass by, their imagination working overtime as the protagonist’s heartbeat sounded from the speakers. Like survival horror games of old, the environments were confined, making the player feel claustrophobic and remarkably exposed. On more than one occasion I found myself staring into a small space I’d have to crawl through, listening to something crawl around somewhere inside. The atmosphere and sense of complete helplessness gave the game its flavor. Several other Penumbra games followed, and although they garnered a cult following, they remained relatively under the radar of most gamers. It wasn’t until Frictional Games’ next project, Amnesia: The Dark Descent, released in 2010 that the company’s following exploded. Amnesia used many of the mechanics found in Penumbra, but with several tweaks and a new setting. Rather than exploring the secrets of the frozen north, players awoke to find themselves in a castle, and, true to the game’s title, suffering from a case of amnesia. Like Penumbra, the protagonist was affected by fear, only the fear was quantified in the form of a sanity meter. Actions like traveling through an unlit room or stumbling upon a corpse would reduce a player’s sanity while standing in a brightly lit area would restore it. However, this time around players weren’t even given the luxury of a hammer as a defense, but rather a lantern and nothing more. A lantern that consumed fuel and attracted unwanted attention. Hiding in the dark made the player’s brain turn to mush until bugs crawled over the screen and the protagonist dragged himself around the floor by his chin, but the alternative was never much better. Like the characters in the best mythos tales, players were doomed no matter what they did. As with its predecessor, the strong sense of atmosphere and mortality made Amnesia into something special. The game was a huge success, selling well over a million copies, quite a feat for an indie developer. Amnesia: A Machine for Pigs followed in 2013, it’s preorder scrolling across Steam’s featured items screen with all of the other big-budget titles. Survival horror had its pulse back. 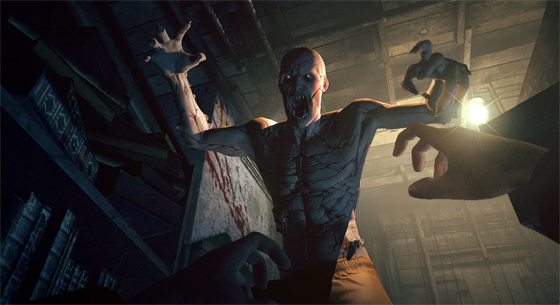 A more recent release on the road to survival horror’s revival was 2013’s Outlast from Red Barrels Studios, another indie company. Founded by former Ubisoft employees and industry vets behind games such as Prince of Persia, Splinter Cell, and Assassin’s Creed, the team took their years of experience along with the recent trends set by Frictional Games to push the envelope and bring the new brand of survival horror not only to the PC, but to the newly released PlayStation 4, dragging the long lost horror elements back into the living room. Once again, players were isolated and helpless, taking on the role of a journalist investigating strange reports from an insane asylum. The protagonist’s only possession? A handheld camera with night vision. Like Amnesia’s lantern, the camera burned through energy and needed to be fed new batteries periodically, which could leave players stumbling around in the dark with the crazies. While Outlast didn’t feature any sanity meter as Amnesia did, the horror elements were plentiful. My heart raced more than a few times, particularly during the game’s opening scenes. 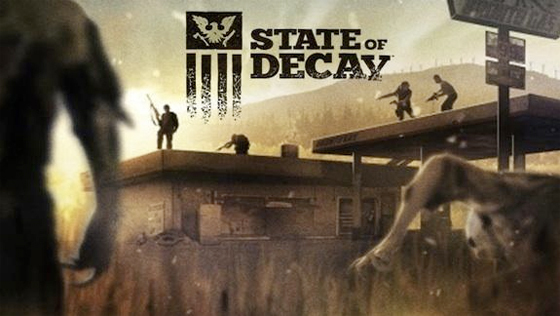 Last year also saw the release of State of Decay, an Xbox Live arcade game now available for PC through Steam. The game placed players in an open world environment during the aftermath of a zombie outbreak, prompting them to gather limited resources, recruit survivors, and establish strongholds against the undead hoards. The catch? If a character died, even the protagonist, they were gone for good, and the game went on without them by switching the player to another survivor. This concept of mortality, that players are not unstoppable killing machines, is what makes this new wave of horror games compelling. You are weak. The world is frightening. You can lose. This debut title by indie developer Undead Labs quickly sold over a million copies. With so much money being brought in by these indie companies pushing boundaries, it’s no surprise major developers are following suit. Sega’s Alien: Isolation is slated for release this Fall, and despite the last few Alien games being complete flops even in the eyes of the action gamers for whom they were intended, Isolation certainly looks promising. Rather than blasting through hordes of xenomorphs, players must survive against a single alien without the use of weapons. Judging from the gameplay released by IGN, it would appear that the developers have chosen to draw inspiration from Ridley Scott’s film rather than James Cameron’s, for which I am extremely grateful. At last year’s E3, Bethesda showed a demo of new survival horror title The Evil Within. The game is being developed Shinji Mikami, the man behind the original Resident Evil, and promises a return to the roots of survival horror. And so we come full circle. However, just because the big names have taken notice doesn’t mean the indie developers are done. Far from it. Frictional Games is set to release SOMA, their latest project, sometime next year. This time players will find themselves in a futuristic science fiction setting, and from the footage released thus far, the experience looks to be every bit as terrifying as falling down a mine shaft or waking up in a castle without a working memory. Undead Labs is hard at work on an MMO in the same vein as State of Decay, and Red Barrels is nearing the release of Outlast: Whistleblower, a DLC prequel to the original game. There’s plenty of gore and suspense on the horizon, and I for one cannot wait to start rationing my ammo and hiding in the back of closets. 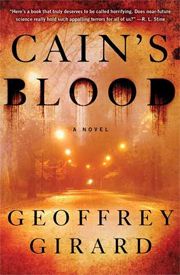 The premise of Geoffrey Gerard’s debut novel, Cain’s Blood, is enough to make any horror aficionado pluck it from the shelf and give it a good once over. Clones of the world’s most infamous serial killers have escaped from a government-funded facility, leaving a trail of violent crimes in their wake. Shawn Castillo, a former black ops soldier, has been tasked with the capture of the escaped clones and ultimately teams up a young boy created from the genes of Jeffery Dahmer. What’s not to love? Sadly, the brilliance of the premise is tarnished by the delivery. This is largely due to the novel’s rapid pace. Reading Cain’s Blood is akin to traversing a carnival in a rocket car. There are plenty of cool things to see, but most of the time you’re moving far too fast to get a good look. Much of the plot has the characters moving from state to state in pursuit, but little of the scenery is ever mentioned. Likewise, many of the houses and hotel rooms are cycled through with little attention to detail. What’s worse is that this breakneck speed kills much of the suspense the novel could have had. In the horror genre, pacing is King. No amount of crime scenes or gallons of blood can change that. At its heart, Cain’s Blood is more of a thriller one might take to the beach than a horror novel. 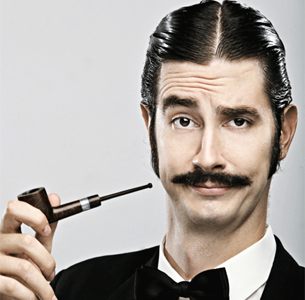 In terms of characterization, those who populate the novel often fall into worn tropes, particularly the protagonists. The damaged soldier seeking redemption and the misunderstood youth can feel paper thin in places, and the reader isn’t given solid reasons to cheer them on until later in the book. Additionally, the young clone is clearly used as a poster child for the nature vs. nurture debate, turning him into more of a medium for the author’s thoughts on the subject than a fully-realized character. The escaped killers themselves also leave something to be desired in terms of development as much of their characterization is heavily dependent on the personas of the originals to the point of it being a crutch, overshadowing any personal experience the clones might have, at least in the case of those partaking in the killing spree. One of the stronger aspects of the novel is the information on cloning sprinkled throughout. Girard has done his homework, and it certainly shows. From a brief overview of cloning to open the novel to lectures on various government experiments and cover-ups, plenty of ground is covered. While this can sometimes turn into a heavy-handed info dump as a character proceeds to tell the reader about a dozen related events at a go, these insights tend to be some of the more enjoyable sections the book has to offer. While the use of facts regarding real events makes progress toward cementing the premise in reality and making it more believable, almost every plot choice in the novel works to do the exact opposite. Between the addition of other government science experiments and Hollywood style shootouts, much of the novel ends up coming off as outlandish rather than convincing. Throw in a number of gaps in logic regarding the behavior of the escaped clones and a highly convenient ending and everything becomes a little too unstable. The suggestion that a clone of John Wayne Gacy would be genetically predisposed to wearing a clown suit and makeup is tenuous at best, as is the concept that a handful of homicidal loners would pile in a car for a murderous road trip. It may be worth pointing out that the Internet is full of praise for the novel, and that while reading these reviews I felt as though I had experienced something entirely different from the average reviewer. If you’re looking to read something that is quick and requires little mental effort to digest, Cain’s Blood may be for you. However, if you are looking for something with prose that goes the extra mile and suspense served up with a good, old-fashioned sense of dread, it may be best to look elsewhere. As anyone who has spent any amount of time writing fiction at the college level will tell you, genre bias is rampant in academia. As a recent graduate from a state university, I experienced this bias firsthand. Repeatedly. While some professors remain open-minded, others turn their noses up at the first sign of science fiction or fantasy in their workshop classes. Many have never heard of your favorite horror or romance writer, nor do they care what your idols have written or what awards they have won. A select few ban genre fiction from their classes altogether, highlighting such clauses in their syllabi. Some of you are probably nodding in agreement, thinking back to the times when you also hit these roadblocks. I tip my hat to you, brothers and sisters in arms. However, this article is not aimed at you. Rather, this article is aimed at those still wandering academia’s halls, as well as those about to enter them for the first time. College may not welcome genre writers with open arms, but that doesn’t mean they can’t thrive there, provided they know how to go about studying the craft in such an environment. It is also important to note that I do not support the division of so-called “literary” and “genre” fiction. I am merely using such terms for the sake of clarity as well as to properly represent the division as it exists within academia. The first and perhaps most important thing undergraduate genre writers need to realize is that the instructors are not their enemies, even if a few of them do ban any manuscripts containing zombies or elves. In my experience, this tends to be one of the hardest lessons for students to learn. In order to understand this, one needs to first examine the situation from the point of view of the instructors. Most professors do not read or write anything that could be considered genre fiction. They are literary through and through. They don’t know the tropes. They don’t know the shorthand. Writing that kind of thing is simply out of their element. That being the case, would it be responsible of them to try to teach an aspect of writing they have little to no experience with? No, it wouldn’t, so they don’t. Instead they teach you what they do know, which is a lot. Lucky for you, this is mostly stuff you don’t already know, the stuff from the other side of the fence, which is great because you’ve got your side covered, or will with enough practice. Let them pass on the skills they’ve mastered. Read those James Joyce stories. Do those John Gardner exercises. Trust me, you’ll be glad you did. The second thing, which is really just an extension of knowing instructors are not the enemy, is that genre writers need to let others know they are there to play ball. Work hard, get assignments in on time, and step up when it comes to commenting on the work of others, especially in class. If the instructors know you care, they will be more likely to take your genre of choice seriously. Instructors can be skeptical of students in general, and rightfully so. I find that most undergraduate writers, even most creative writing majors, are nowhere near as serious about the craft as they think they are. Another thing to realize is that you are likely working against a history of garbage genre fiction that has flooded their classrooms for years. I can’t even recall the number of manuscripts I had to read about teen mermaid romance or two-dimensional, clichéd vampires. I mean really terrible, awful, wouldn’t-wish-it-on-your-worst-enemy fiction. It can take some time to navigate through all that debris and gain an instructor’s trust, but that doesn’t mean it can’t be done. Early on in my college career, I was waiting for one of my writing classes to start when a fellow student began complaining about comments she had received for a piece of fiction in a different class. Apparently the instructor told her the story was riddled with clichés. This upset the student because, as she explained to the rest of us early arrivals, genre fiction was supposed to be full of clichés. Wrong. This is what instructors are seeing, what you are working against. Bring the heat. Show them you can offer up originality with style. Another way to gain the respect of instructors is to find the middle ground. Find the bridges between your world and theirs and use them to the fullest. One of the easiest ways to do this is to read writers whose work most closely rides the line between your genre of choice and the literary world. Instructors may not know who Richard Matheson was, but they’ve read Cormac McCarthy, and they’ll be more than happy to discuss horror elements when you put them in the context of The Road. 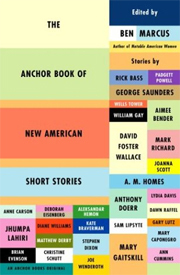 When I was attending classes, several of them used The Anchor Book of New Short Stories, edited by Ben Marcus. If you’re taking college writing courses, buy this book immediately as it will give plenty of examples of authors I’m talking about. There’s a story in the book called “Two Brothers,” by Brian Evenson, which features a religious fanatic who attempts to cut off his own leg with a kitchen knife, people eating birds, and other strange elements. Another story, “The Paperhanger”, deals with the disappearance of a child. Both are straight-up horror. In fact, the former is one of my all-time favorite horror stories. However, they are also literary stories featured alongside a host of stories by other literary authors. While Stephen King’s fiction may have a stigma in the college classroom, the bloody antics of Brian Evenson’s work does not. That same anthology contains a story by Aimee Bender, who focuses primarily on magical realism. Bender is often spoken of in the same breath as Kelly Link (I actually heard them both mentioned no less than a dozen times at a writing festival at the university a few years ago when all the grad students were experimenting with that kind of thing). 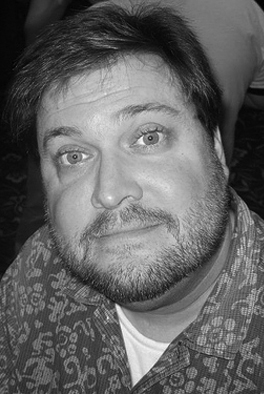 Kelly Link edited the fantasy half of The Year’s Best Fantasy and Horror for years. Bridges. Use them. The third thing current and prospective students need to know is they should be doing as much learning outside of the classroom as inside of it. I’m not just talking about reading and writing on your own either, although you absolutely need to do those things. What I’m talking about is creating your own learning environments. The easiest way to do this is to start or join a creative writing workshop. As someone who has run a workshop for the last five years (it’s still going despite the fact that many of its members have graduated), I can honestly say you’ll learn just as much, if not more, about writing from a private workshop as you will from a workshop class—if you do it right. How does one go about creating an effective workshop? The biggest thing is that you don’t let just anyone join. That may sound elitist, but believe me when I say it’s necessary. From my experience, the average writing class of 20 people contains anywhere from three to five students who actually know what they are doing and are dedicated to writing. These are the people you listen to in class, the people whose comments you read first when you get a manuscript back. Unfortunately, the rest of the class is usually more obsessed with the idea of being a writer more than they are actually interested in writing. Pull aside the go-to people and ask them if they’re interested in a private workshop. Odds are, they’ll have some go-to people themselves. After you have a core group, only bring in people that ask to join. This makes sure you’re getting people who take the initiative. However, always remember to say no when the need arises. If the girl from class who is constantly checking Facebook while everyone else discusses manuscripts asks to join, tell her no, you’re full. If the guy who always turns in assignments two days late wants in, tell him no, you’re full. Often these people like the idea of being part of a workshop, but don’t actually do any real work. I also recommend focusing on the level of commitment people have rather than their current skill level, though it’s important to have at least a few people in the group that are better writers than yourself for the sake of growth. Ideally your workshop should contain no more than seven people. Any more than that and things get unwieldy. In addition to seeking out like-minded individuals on campus, connecting with other writers via the Internet is hugely beneficial. The wonderful thing about the writing community is that people are so willing to help others. I find this to be particularly true when it comes to veterans wanting to pass on their knowledge to the new blood. Join a forum. Join a Facebook group. Drop another author an email. Build connections. Be a part of the online writing community. Aside from interning at Shock Totem, I’ve recently been given the opportunity to do some freelance work in the game industry. Both of these developments evolved out of meeting awesome people on forums. I can’t stress enough the importance of making connections with those who share the passion for the craft. So if academia has got you down, fear not. There are plenty of wonderful resources waiting to change your college experience for the better. Connect with the instructors. Connect with other students. Connect with fellow writers online. Writing genre work at the college level needn’t be painful or alienating. In fact, surviving as an undergraduate genre writer can be remarkably easy, provided you know how. 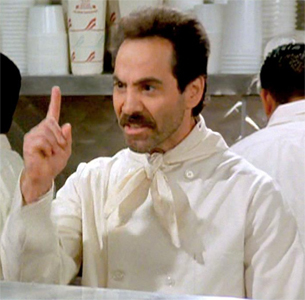 The kid behind the counter is fiddling with the espresso machine when he rattles off a string of numbers and letters. NOS4A2. He’s staring at the book I’ve set on the counter, a rusted vanity plate stamped on the cover. Joe Hill, son of prolific horror writer Stephen King, has proven to be a powerful new voice when it comes to modern fantasy and horror. His first book, the brilliant short story collection 20th Century Ghosts, snagged the Bram Stoker Award, International Horror Guild Award, and British Fantasy Award for Best Fiction Collection. Heart-Shaped Box and Horns were soon to follow; the former claiming another Stoker Award for Best First Novel. Locke & Key, a comic series written by Hill and illustrated by Gabriel Rodriguez, has also claimed its share of awards. 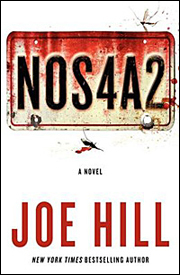 Now Hill is back with his fourth book, NOS4A2, and he does not disappoint. In his 1938 Rolls-Royce Wraith, with the vanity plate NOS4A2, Charles Talent Manx cruises highways most people never know exist, but he doesn’t go alone. Nothing gives Manx greater pleasure than whisking innocent children off to a place called Christmasland, a wondrous playground where every day is Christmas and unhappiness is against the law; a place no child would ever want to leave, though the drive is far more taxing than his young passengers can know. Manx has never lost a child he has set his sights on. Then he meets Victoria McQueen. Vic McQueen knows something about hidden roadways herself. She has a talent for finding missing things. By riding her bicycle over a magical covered bridge, she is transported to wherever it is she needs to be. It is only a matter of time before she crosses paths with Charlie Manx and the Wraith, though she proves somewhat more resourceful than the children Manx is accustomed to dealing with. Years later, Manx is back with a vengeance, and Vic McQueen finds herself in need of the talent she has tried so hard to erase from her memory, this time to recover her son. Thus the battle between good and evil begins. Hill’s prose sings, and the plot moves along at a blazing pace. This is a page-turner at heart. Everything boils down to the fact that Joe Hill is an excellent storyteller. He knows how to hook his reader from the first page and relentlessly builds tension throughout his tale. I feel it is a discredit to Hill’s talent to make the comparison, but NOS4A2 is reminiscent of King at his best. Constant Readers will feel right at home between the covers. If you consider yourself a geek, NOS4A2 will welcome you with open arms. References involving Batman, Star Wars, Firefly, Jaws and plenty more are sprinkled throughout in heartfelt and touching ways that will leave you feeling nostalgic. He also gives nods to authors past and present including Ray Bradbury, Anton Chekhov, Ernest Hemingway, Stephen King, and others for readers to sniff out. Fans of Hill’s earlier works will find references on that front as well. Where the novel really shines is in its characters. Charlie Manx makes for a truly terrifying villain. The Wraith accents him perfectly, acting as a living, thinking accomplice. Doors open on their own; locks bang into place, trapping unsuspecting victims; the radio constantly blares Christmas music regardless of the season. In many ways, the Wraith functions in much the same way as the 1958 Plymouth Fury did in Christine, and picturing the Rolls-Royce barreling out of a snowstorm that shouldn’t exist is downright menacing. Vic McQueen offers a great counterbalance, winning the reader’s sympathy and respect. She comes off as a strong, independent heroine who is also flawed in all of the right ways. Her motivations, as with those of Charlie Manx, are complex and well thought out, pulling the reader close to consider each twist and turn alongside her. Some of the greatest characters in the book are actually the secondary ones. It is not often that I find myself attached to characters to the degree I was to those in NOS4A2. From a librarian with a fish tank lined with scrabble tiles instead of rocks to a mechanic who uses a monster truck tire as a playpen for his child, there are so many small quirks in this book that one can’t help but smile at them as they go by. I found myself wishing I were friends with half the people I met while curled in my reading chair, and I am in awe of Hill’s ability to continuously populate his work with such interesting people. At 692 pages, NOS4A2 is Hill’s longest work to date, but it holds up throughout its entirety, and readers can rest assured that they will be rewarded with a satisfying ending to wrap it all up. If you are a horror fan looking for a little Christmas-laced fear to chill your summer months, NOS4A2 is a must read. And if during the course of your reading you find yourself cruising down an unfamiliar snow-covered highway in the back of a classic car filled with Christmas music, just remember that you are on your way to someplace magical, a place you will never want to leave.